The concert at the Veakeio Theatre in Piraeus has been rescheduled and will take place on Sunday July 29th. 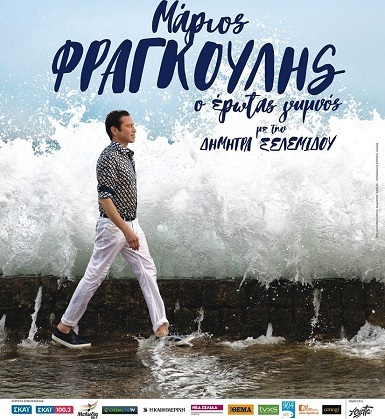 Mario Frangoulis’ sold-out concert “O Erotas Gymnos” that was scheduled to take place tonight July 24th at the Veakeio Theatre, Piraeus will be postponed. Mario and all his team and colleagues participate in this national mourning and express their grief for this tragedy.